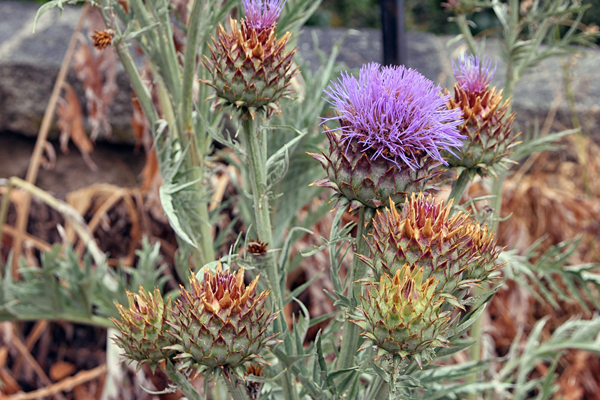 Cardoon is an ancient vegetable that’s similar to artichokes. It is THE Mediterranean ingredient, with a relatively bitter taste, and a high vitamin B9 content. Cardoon is an ancient vegetable. It tastes similar to artichokes. Cardoon is high in fiber. It’s mainly consumed in Mediterranean countries. It’s used in sophisticated dishes in Central Europe. It has been grown since ancient times. Cardoon is in season from August to October. Cardoon does well in humus-rich soil in sunny conditions. Choose the thorniest cardoon and check that the tips aren’t hollow — both of these are signs of freshness. Cardoon stays fresh for 2 to 3 days maximum stored in the vegetable drawer in the refrigerator. Wrap it in cloth or thick paper to keep the tips white. The store cardoon for longer before cooking, blanch for a few minutes and store for 2 to 3 days longer. As for any fresh produce, the sooner you cook cardoon, the more of its nutritional and organoleptic value will be conserved. Canned cardoon is tasty and practical. Freezing does not suit cardoon. String cardoons when you cut them — it’s easier than doing it afterwards and fewer nutrients are lost. Sprinkle lemon juice on the ribs of the leaves so they don’t blacken after chopping. Cardoon is famous in central Europe in regions near the Alps, where it is usually reserved for gourmet cuisine. It tastes bitter with a hint of sweetness. The ribs can be eaten boiled, fried in meat juices, or served au gratin with a white sauce. 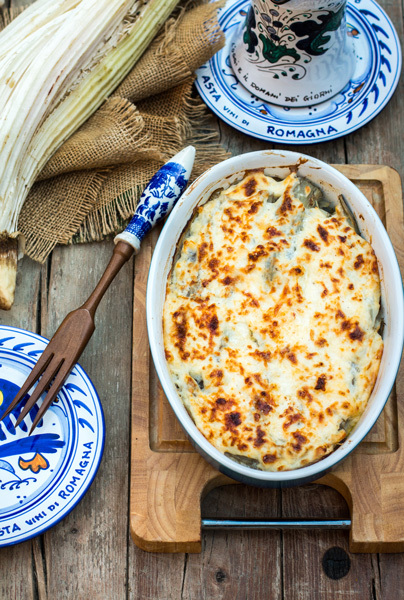 It can also be eaten as part of a gratin, tagine, soup, or as a side dish with white meats. 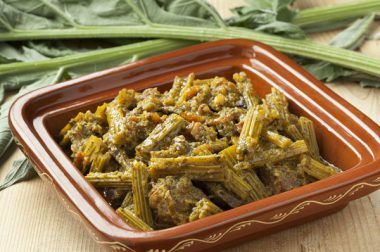 Cardoons with bone marrow are a Lyonnais specialty. Young shoots are eaten like artichoke hearts in Mediterranean European countries. Did you know? Cardoon sap is used to make the bitter Italian liqueur ‘Amaro’. From the age of six months in small quantities, as the high fiber content could irritate your baby’s digestion. No matter what age, familiarity is the key factor for liking the taste of foods, including vegetables. The more we are exposed to a type of food, the more we like it, even if it is only eaten in small quantities each time. A food has to be eaten at least eight times before you can decide whether you like it or not. Those with sensitive digestion may experience faster bowel transit time because of its high fiber content. 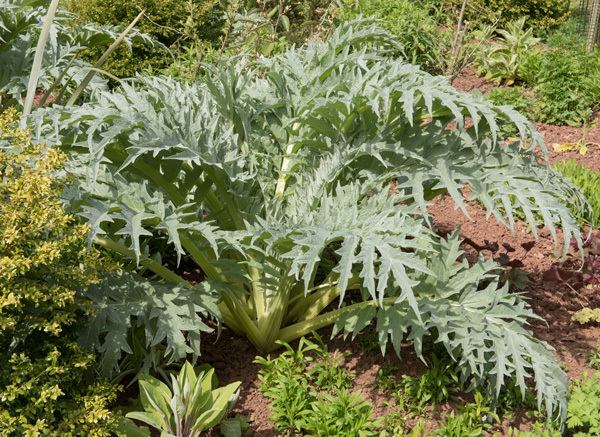 Origins: Cardoon was an important vegetable in ancient times — traces have been discovered from the fourth century BCE. The Greeks, Romans, and Persians adopted the vegetable and it became their vegetable of choice. The buds of the young plants were eaten, as they still are in these regions. It was grown intensively in Europe in the Middle Ages. It is still popular in Italy, Spain, Argentina, Australia, and France, where it is grown, but it is not very well known in North America. Cardoon is also popular in Libya, Morocco, and Croatia, where it is known as ‘chardonnette’ or ‘chardonnerette’.